We fly the old propliners of yesteryear, from the Golden Age of flying. If you enjoy flying by the "seat of your pants", then you are at the right place! Bluegrass Airlines is a little different than most VA's due to the fact that we don't put a lot of restrictions on our pilots. We understand that this is just a hobby and is supposed to be fun! We also listen to what our pilots like. In fact, this VA was built upon the idea and suggestions of our pilots. In other words, Bluegrass Airlines is for the pilots and by the pilots! If you would like to join us, choose a Division from the list on the left side of this page, then click the "Join Bluegrass Airlines" link on the top left of the page. It's as simple as that! We hope you enjoy flying with Bluegrass Airlines as much as we do. 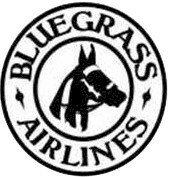 Contact: Any queries regarding Bluegrass Airlines can be directed via the Forum or in an email to bluegrass(dot)staff(at)gmail.com (replace (dot) with . & (at) with @). In memory of our fallen friends and veterans.